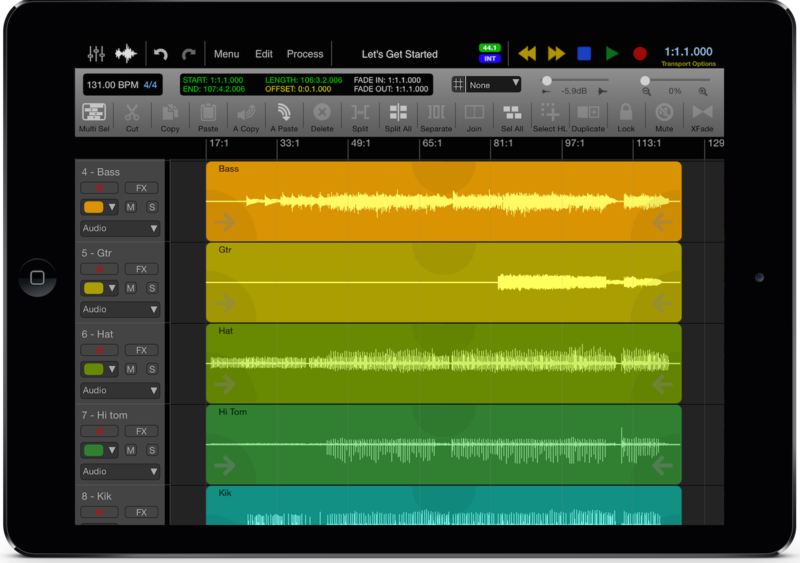 SynthMaster One for iOS – Oh My! 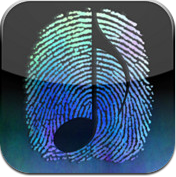 If you are even possibly considering performing, recording, creating or just simply playing around with making music on your iPad then this app has so much to offer you! Released in 2017 and heralded as one of the years best synths this is chock full of synth sounds that will make the hair on your neck stand up in excitement! 500 factory sounds to be precise. Features galore will keep you connected with other iOS apps to your hearts content… AUv3, InterApp Audio and AudioBus connectivity means it’s all there! This is almost the same app as their desktop version in fact! On iOS you only get 16 voices vs 32 on the desktop and only 500 vs 800 sounds. Otherwise it is a full blown synth app worthy of anyone’s music making abilities! Along with a 16 step Arpeggiator/Sequencer it also has Microtuning capabilities. It will even support the MPE controllers like ROLI’s Seabord Blocks. You will need an iPad Air or higher if you really want to take full advantage of what it offers though. Of course what good is reading about music without actually hearing It? Listen to these demos on SoundCloud…. So this weekend we went camping. While my wife enjoyed her time floating on her tube with her nieces in the lake, watching the little kids play on the big blow up lake toys…. I enjoyed a bit of toying around making music. It’s a ton of fun making music by the campfire sitting at the picnic table. I used my ROLI SeaBoard Blocks and Roli’s Noise app. I am not comfortable with the whole loop based recording scene so I made myself use it. I love the expressiveness and response you get from both the Blocks – the keyboard looking one and the new square Block. I like the touch and the feel of the little square Block but the lights need to be brighter! Once done I had a bit of trouble figuring out how to share my creativity…. the Noise app doesn’t play well with others. No way to create a song besides tapping individual loops and “performing” the whole song live. I can not preset a sequence of the loops and then export and audio file. I could export all the loops into another app as individual recordings but I wanted one final mixdown of “The Song”. I couldn’t even use Noise in conjunction with another app to accomplish this. I ended up using the headphone out jack and my handheld recorder. That meant I had to wait until I got home to do anything else with the final recording because iOS doesn’t let you import audio from an SD card! At home I opened the card on my laptop, imported the file, then AirDropped it back to the iPad. It felt like cheating… APPLE – you need to fix this issue! Then I used Wizbel to dump some photos and effects on top of the audio. The photos are all from our summer trips. I wish I could put more photos in. The song is kind of long so the exporting from Wizbel takes a LONG time! In fact I typed all of this post up to here, on my iPhone while waiting for the export and it STILL was only part way done as you can see below…. In the Noise App you get a ton of different sounds that are created for the Blocks. You only get to use four per project though so that’s a bit of a bummer. The other issue ROLI needs to fix is there is no way to edit your mistakes after recording. I KNOW the MIDI is there so how hard can it be ROLI to simply add a piano roll editor? But… hey that fits my motto… play, create, share. Too many people worry about getting EVERY single detail right. Too clinical and too much time. I want to explore and I want to be realistic about what my students would end up doing too. Get them creating and then encourage them to share. Even if the final song is a “bit rough around the edges”. I did discover that the Noise app is synced between your devices! So when I opened my iPhone up I had to download a sound or two before my project would open but there it was! Allowing me to work with either my iPad OR my iPhone! Nice touch ROLI! Here’s where the export process is at now…. Don’t expect to use this app in a classroom setting at the end of a class period. That should be understood for the processing of any video file though! Video takes awhile! I’m even using the first gen iPadPro 12.? Inch iPad so it’s a pretty decent processor! So let’s talk about sharing your content…. did I mention that this entire blog post is being created and shared from my iPhone…. for free? Your students can do the same! Of course the final recording and video are NOT get hosted here on WordPress but instead I am using YouTube and SoundCloud for those items. So if you are not willing to mash up a few services then you would have to pay. Auria Goes PRO! Now THERE is some news worth reading! 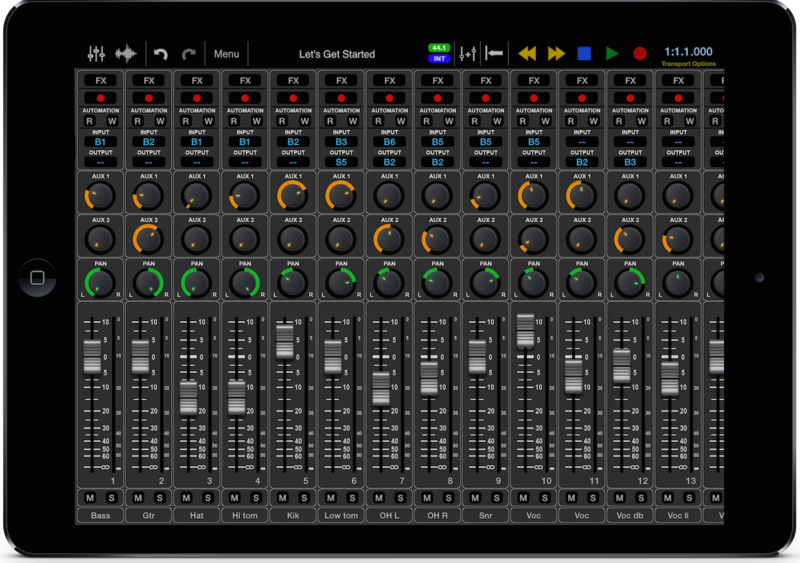 Over at the Auria discussion boards it was announced today that one of THE big DAW apps for iPad is going to be going to a new version which will be called “Auria Pro”. If you are not familiar with what Auria is currently here it is…. 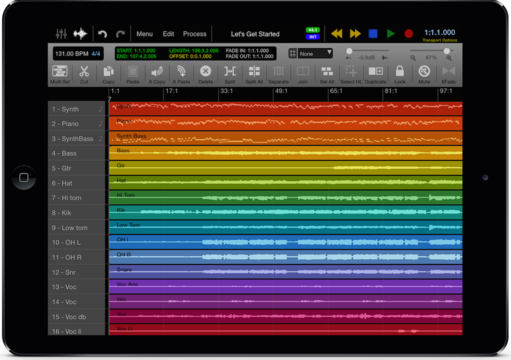 Auria is one of the leading Digital Audio Workstations for iPad offering 48 tracks of digital audio playback from iPad and 24 tracks of simultaneous recording! I’ve said it before… when the concept of Auria was first introduced people could not believe that this would ever happen! Now Auria is taking the next step…. of course we have heard rumors that this was going to happen but now it is official with the first public showing happening at the upcoming NAMM show! Here is the run down with some screen shots of the new and might I say much improved UI…. Some of you who are still using older iPads are going to want to start thinking about upgrading to an iPad Air or iPad Air2 because it is my guess that these new features are not going to do so well on much less – iPad2 is gonna be out as the current version of Auria won’t run that well on it. Another thought – for those of you who are freaking out at the $49.99 price tag because you have never spent more than $1.99 on an app….. This is a pro app, this gives you functionality that has only been available on desktop apps in the past and those apps have cost $200 up to $500! 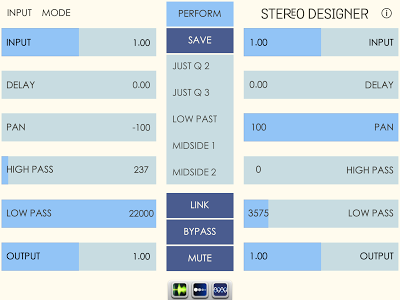 – Audio to MIDI conversion – WHAT!?! 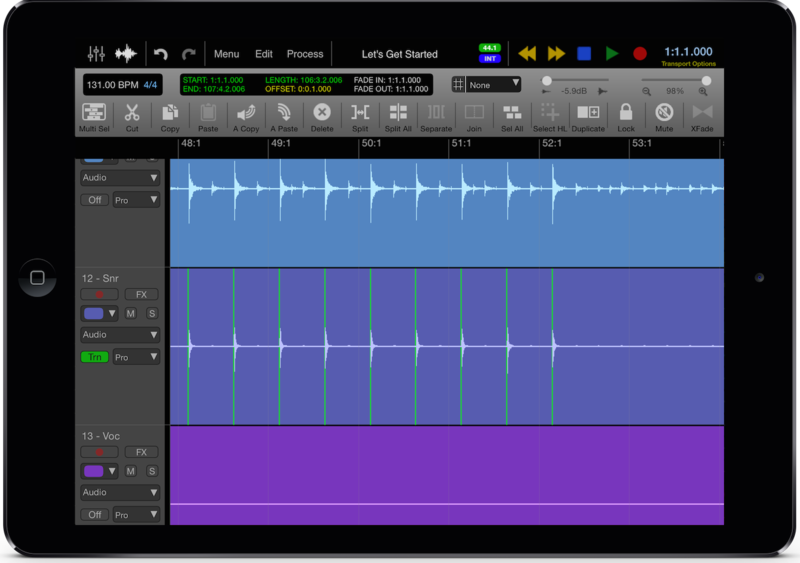 Auria Pro will be available Spring 2015 and will be priced at $49.99, and existing Auria users will also be able to upgrade to Auria Pro for a reduced price. I have no idea what the upgrade price will be but the full version of the current app is on a 50% sale for $24.99. Pricing for the standard Auria version will be staying at $24.99. 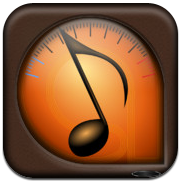 One of the great iOS Music Developers, Holderness Media, has had a suite of effects apps out for iPad for awhile now. The news of the week though is that on Jan 8, 2015, he released four of the apps for iPhone! Now our little iOS friends can take part in the fun alongside the iPad! Just look at all the tweak-able controls you get in these apps! X-Y Pads to make fast easy adjustments, then there are the sliders on the next screen that allow even more tweaking, morphing, echoes, swooping and all sorts of fun on the fly! You do not even have to have any idea what you are doing to have fun with controls like these available at your fingertips! These apps allow you to apply the effects a live input, like a guitar/drum module/keyboard etc… or any app that is AudioBus/InterAppAudio compatible! I’ve included a video at the bottom of this post that will give you a little idea of what is possible with these apps. It bears mentioning that I fully support Christopher Rice’s (the developer) decision to charge for iPhone versions of these apps. Many people may not like having to pay twice but when you have great developers who love the iOS community and work hard to give us amazing apps, they deserve our financial support! Plus, the are offering amazing deals on the app bundles! Buy the bundle and save a bundle! iMIDIPatchbay is currently on sale for only $10! (That’s is down from the $29.99 it usually sells for and even more reduced from the release price of $49.99!) Plus it is now an universal app which means it will work on both the iPad and the iPhone! 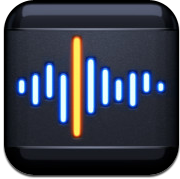 If you have several different apps on your iPad with great sounds in them and you are interested in using 2 or more apps at the same time then this app is for you! If you work with keyboards then you probably know what a MIDI controller is. 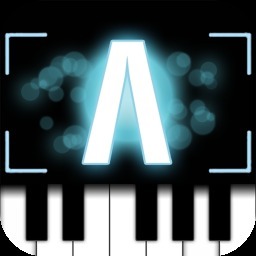 This app turns an keyboard into a master MIDI controller… set up any keyboard to have different splits for instance to have the left end play AniMoog and the right end to play Nave. In fact set up 4 splits! Make it so that your sustain pedal only sustains the sound from AniMoog and not Nave and your expression pedal only affects Nave. If you are not sure how powerful this app is check out YouTube for a few of the videos that are easily found like this one from the developer…. There are so many music apps available online that it is sometimes hard to filter through and find the truly inovative apps that will truly change the way we make music. Even when you do stumble on an app that you think might fit into this category it takes me several videos and a ton of reading to fully believe enough to actually pull the trigger and purchase the app. The interface allows for a new method of interaction not easily done on a piano style interface. 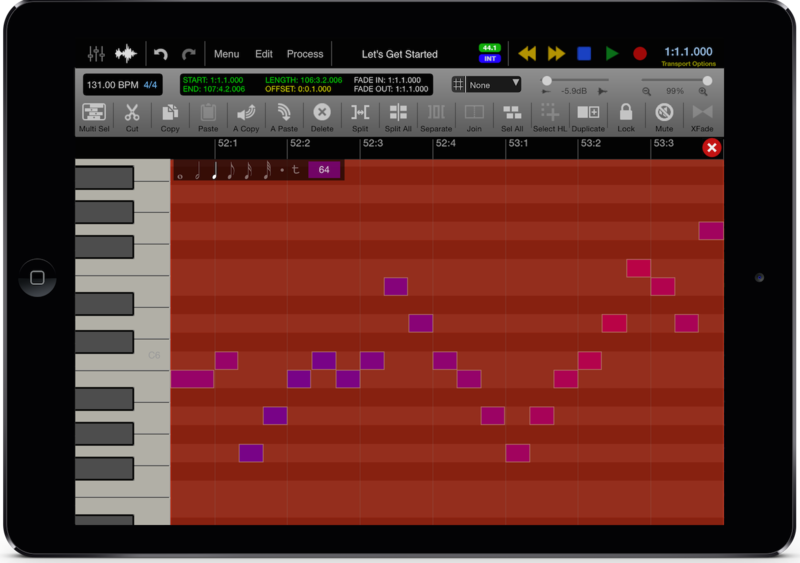 This interface allows for so much more expression and access to a wider range than a piano does on iPad. Go watch a few videos on their web site and you will see what I mean. The app allows you to use MIDI to control other apps. 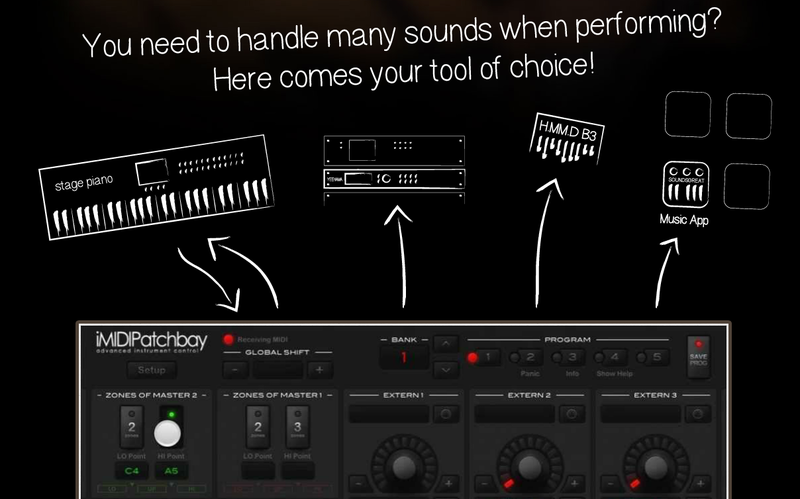 This means that even though this app has amazing samples already included that are going to allow anyone to record some great bass lines, the sound options are endless with the inclusion of MIDI! Use iFretless to control Animoog or SampleTank or whatever other app you want. Even use it to control external MIDI devices! 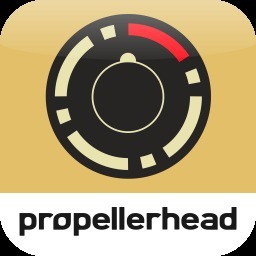 Of course I would not even bring this app up on my blog here if it did not support AudioBus! 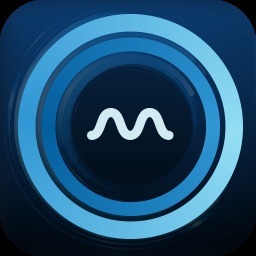 One other technique I am going to try out is using this app along with Apollo, an app that allows me to use Bluetooth technology to wirelessly control a software synth inside of Logic Pro on my MacBook. I hope the latency is fast enough to use live! Go watch a few of their videos, actaully go watch all of their videos! This app is going to be a nice addition to my live performance tools not to mention the apps I use to record my own songs! I love the new interface and possibilities it all opens up! 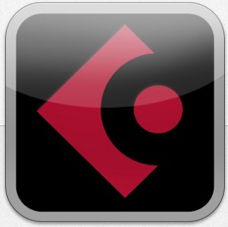 VirSynth has released their latest synth for the iPad called CubeSynth for iPad. Notice that it is named CubeSynth FOR IPAD – that’s because there is a desktop version of this app as well! Currently the app is on sale for half price – soon it will be selling at it’s normal price of $19.99 so purchase now if you are interested at all. CubeSynth is another great example of what can be accomplished on an iPad in the world of music creation! Here is the intro paragraph from their website…. CubeSynth allows us to easily allow control of the app through things like breath controllers! So hook an EWI up to your iPad, put it in the hands of a capable woodwind player and all sorts of fun can be had! 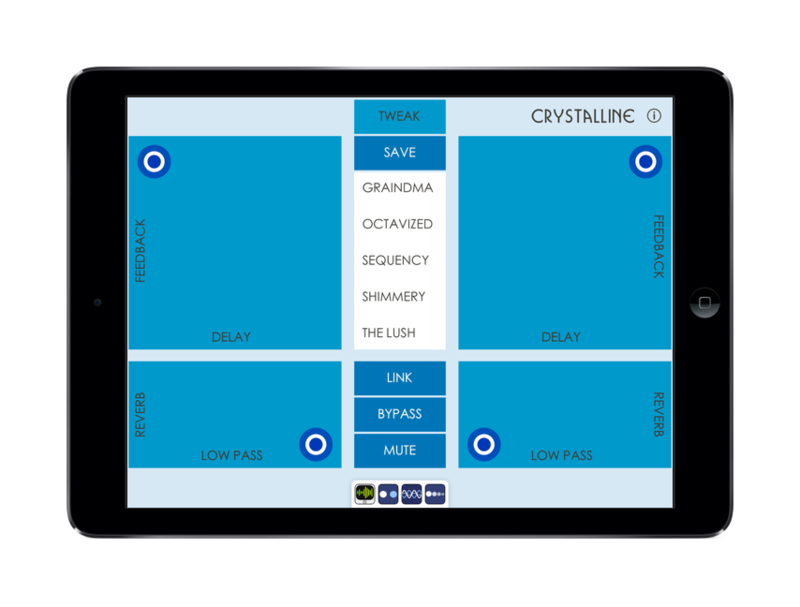 This is one of those “living sound” sort of apps – you know, the kind where the sounds are not static. The sound from this synth morph, change, and evolve in ways not possible with a traditional wind instrument! There is a built in arpeggiator as well as a pair of dice! The dice are great because they create endless variations of sounds at the push of a button – allowing for quick and easy custom sounds, arpeggio’s and effects! That means your students can quickly create their “own” sounds as they explore the app. Which in turn may lead them to start digging in and exploring what is actually changing so they can better understand synthesis. CubeSynth fully supports AudioBus and Virtual MIDI – meaning that this app plays well with others. You can also publish to SoundCloud right from within CubeSynth. SoundCloud is a wonderful way for your students to create and share those creations! It is free so if you are not using it currently you should! 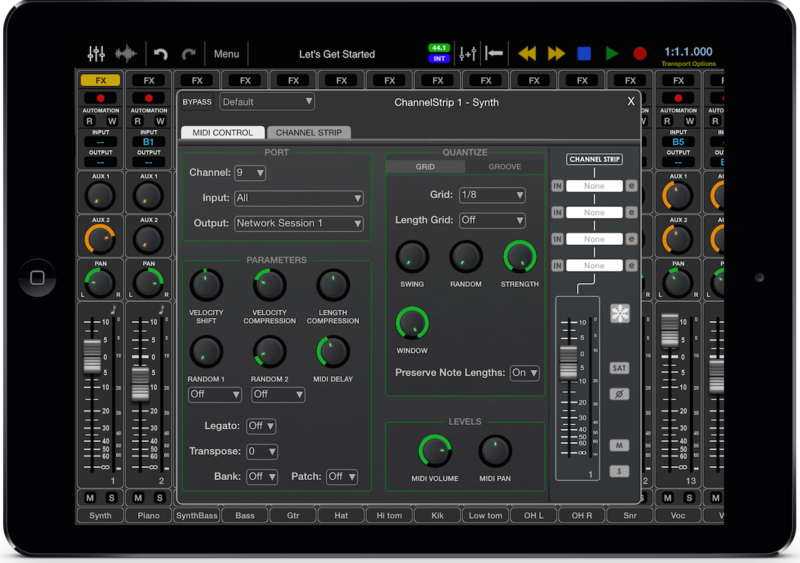 VirSynth is also the developers behind other amazing iOS app’s – Addictive Synth (an aptly named synth app that will cause you to loose several hours as you play with it!) and HarmonyVoice (For you singers – or maybe those who can’t sing so well – HarmonyVoice turns your voice into four!) to name several. I will say that the videos VirSynth has posted on thier YouTube channel are not giving me sound – so as of today, if you want to see what CubeSynth sounds and works like simply do a search on YouTube for other’s videos.